Have you ever noticed that, while browsing through your emails seems like a quick harmless activity, you are suddenly slapped with an unpleasant surprise that hours have already gone by and you still haven’t done anything that adds real value to your work? Have you ever felt nagged by the sense that if you don’t pay immediate attention to each and every email you receive, you are bound to miss something important? Well, go ahead and read on because you will learn a thing or two about how to deal with this issue. Inbox Zero is a concept introduced by productivity expert, Merlin Mann. 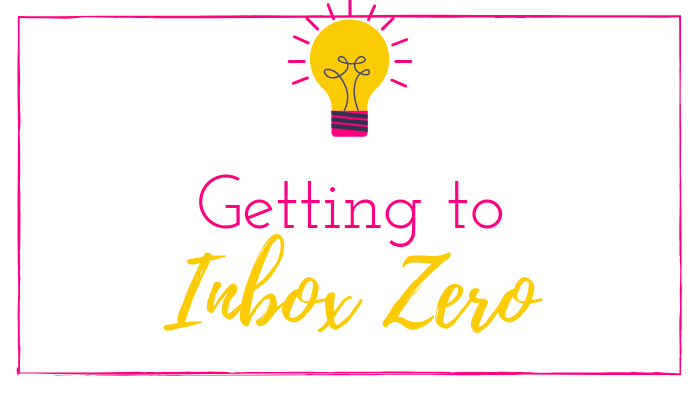 The “zero” in this notion doesn’t necessarily mean “0 messages” in the inbox, but the attention your mind allots for the contents in that inbox. Needless to say, when your attention is divided, giving your 100% to the task you are currently doing is impossible. This causes your productivity to suffer and before you know it, you have wasted precious time that could have been spent on more important tasks. Inbox Zero is a practice that teaches you to stop treating your inbox as a to-do list. Is this email important? Do you need to refer to it again? No? Then go right ahead and delete it. Sometimes, reading the subject line or taking a peek at the sender alone already gives you an idea if the email is important or not. As soon as you find out the answer to the questions mentioned, don’t overthink your next action. Don’t be afraid to delete that email even when all you did was take a quick browse at its contents. Are you the best person to take care of this email? Was the message aimed exclusively at you? If not, forward it to someone who is a better fit to respond to this email. You don’t have to be a manager or someone in a high position to practice delegating emails. Don’t think of this action merely as something that frees you of responsibility. Delegating emails is also beneficial to the sender because you are directing them to someone more equip to answer their concerns. If it’s possible to respond to this email in two minutes or less, just reply right then and there and be done with it. If an email requires more than two minutes of your time, file it away for later and continue going through the rest of your new emails. Set a time within the day to go back and respond to these emails. If you notice that some emails are answerable with the same replies, create a template for these recurring responses so you don’t have to answer from scratch in the future. Some emails are mere clutters and have no purpose other than eating up your limited time. It bodes well to unsubscribe from these mailing lists, unless you will certainly gain something good from receiving emails sent through it. If you won’t learn to discipline yourself and stick to a certain schedule for checking emails, every new email you will receive throughout the day will bother you. Any effort you’re doing aimed toward managing your time will be for naught. Look for an email management productivity tool that caters to your needs. There are tons of email apps you can choose from to manage your emails. Some provide features, like automatically categorizing your emails based on criteria you’ve applied in the app’s settings, and many more. I’m Julie Ball, Founder of Sparkle Hustle Grow. My team and I use this blog to share our favorite business tips, introduce you to thought leaders in our community and to feature products from SHG boxes.